The days are drawing in, Autumn’s on its way. But there’s still a feast of fun to be had for you and your furry companion. Here at tails.com we can think of nothing better than a long and leisurely dog walk. And when it comes to scenic settings, we’re in luck. From coastal walks to national parks and areas of outstanding natural beauty, we’ve rounded up 6 of our favourite scenic walks for this Autumn. Get your hiking boots on and explore more of the UK countryside. 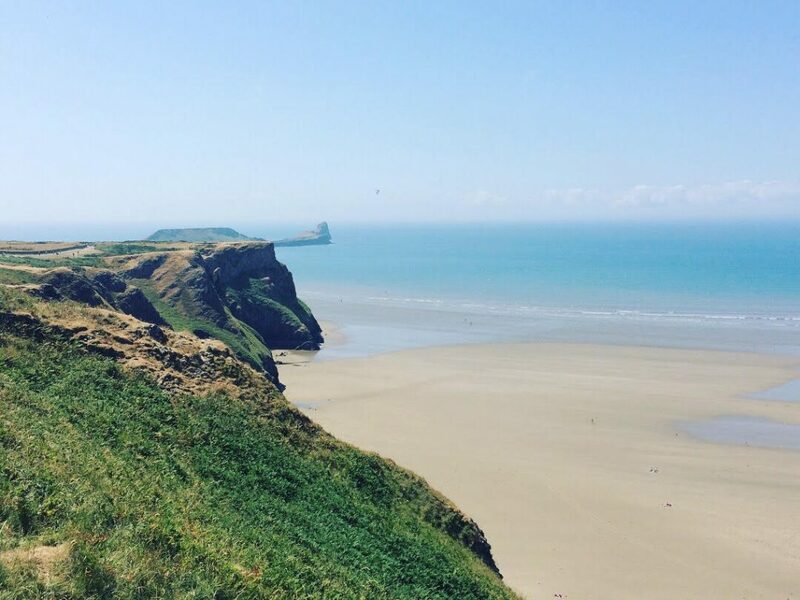 A contender for one of the UK’s most beautiful beaches Rhossili Bay is an area of outstanding natural beauty. You’ll know why when you venture out with your 4 legged friend – it’s a dog’s paradise. A 4-mile stretch of white sand, backed by dunes. This dog friendly beach will give you and your furry companion a scenic backdrop to a blustery autumnal walk. The Seven Sisters in East Sussex is a well known landmark- it’s one of the UK’s most photographed stretches of coastline. The chalk cliffs make for another scenic coastal walk – whatever the weather. We’d recommend keeping your dog on the lead to avoid any chasing of wildlife. Top tip – walk the loop to the coast and back anticlockwise so the wind is at your back. Mam Tor is one of the most popular walks in the Peak District and for good reason. 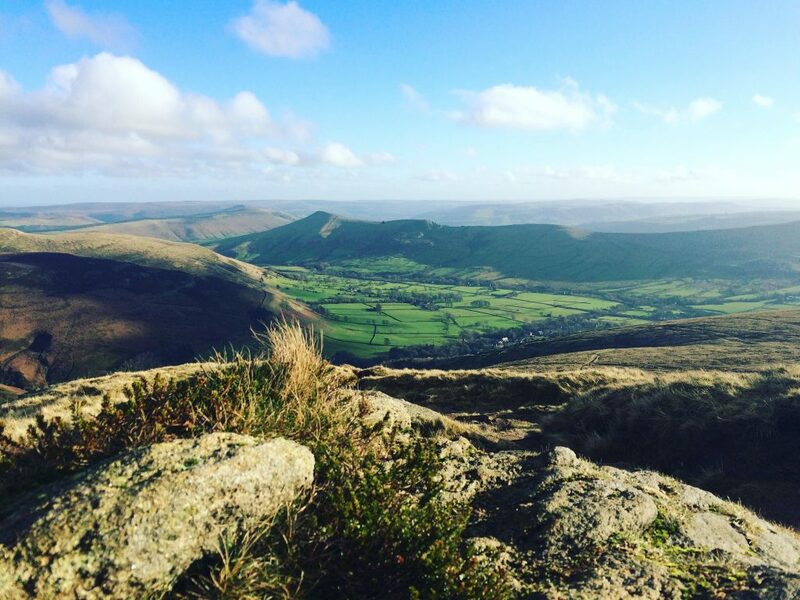 This ridge walk boasts breathtaking views across Edale Valley to Kinder Scout. Follow the Limestone Way for a great day out in the hills. Ullswater is the second largest lake in the Lake District and our favourite here at tails.com The walk around the lake is about 9 miles long. Expect a beautiful backdrop. If you fancy more than a waterside view – the Ullswater Steamer is a great dog friendly option. Hop aboard and sit out on the decking area to soak in the scenery. The perfect sport for a fun day out with your dog. Take a leisurely 4 mile stroll round the beautiful network of droves, along the 1835 Beech Avenue, and outskirts of Kingston Lacy parkland. This is the perfect spot during the Autumn months.The tree canopy forms a beautiful tunnel of russet colours when the trees are shedding their leaves. The estate is run by the National Trust – great for a tea and cake stop. For anyone living in London, a wander along the Thames Path can’t be beaten. 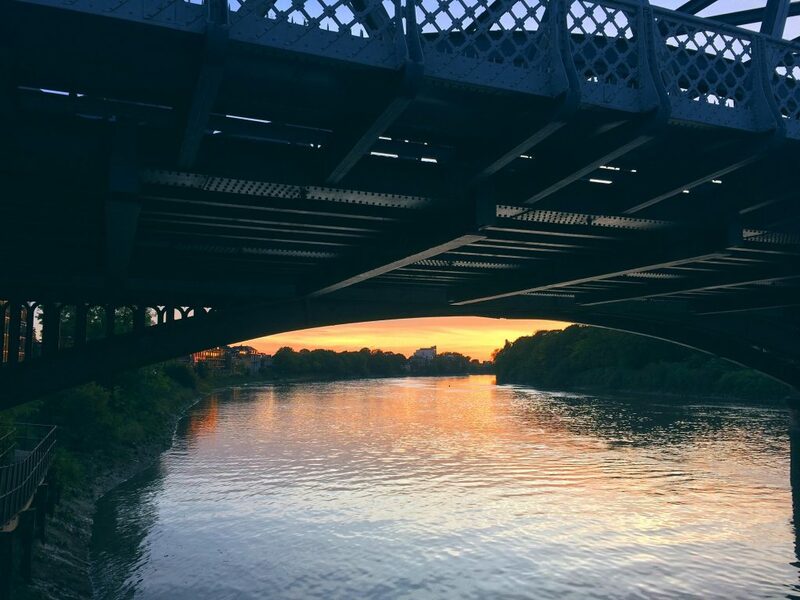 We’d recommend taking a stroll from Putney Pier heading West towards Chiswick. There’s a raft of great dog friendly pubs enroute – one of our favourites is The Dove in Hammersmith. For an all day exploration the Thames Path carries on as far round as Richmond and Twickenham. All this thought of walking building up an appetite? Check out our 2 week free trial of food that covers your dogs nutritional needs. Are there any Scottish suggestions? Always looking for different fun walks. Gatsby recommends the round Anglesey path 124 miles over 6 hot summer weekends which was a few marathon distances on his little legs!!!! The walk ‘around Ullswater’ is 20 miles and not 9 miles as stated above. This is true. Probably 9 miles if you get the steamer to Howstown then walk back. Yes, but the piece says ‘the walk around the lake’ not that the shore path from Howtown to Patterdale is 9 miles and that it is necessary to park at Glenridding in order to take the steamer (winter schedule) to Howtown. Always better to walk back to the car rather than risk missing a ferry! As the clocks go back tonight walkers should ensure that they start the walk at a time that will allow them to complete the walk in daylight. However, a torch should be carried just in case. The Ullswater Way is actually 20 miles long, a good day’s walk in one go or easily divided into two days with a stop off in Patterdale. The stretch between Howtown and Glenridding is around 7 or 8, after taking the ferry from Glenridding. You have to keep your dog on the lead for the duration of the Kingston Lacy walk.. How can that qualify it as a top dog walk? Sam recommends the iFootpath ap which has walks all over the UK, mostly starting / finishing from dog friendly pubs!